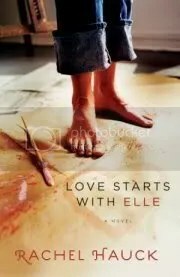 Did any of you go over to Rachel’s blog to enter for the book Love starts with Elle? if you did then you are a winner as Everyone was a winner! Make sure you go over there to check on it to see how to get your book! Rachel Hauck’s Blog I hope you enjoy it as much as I did! Using up a turkey in the freezer…. Okay, after a very frustrating morning of the length of the week trying to teach long division, i am officially frustrated with the process. We have gone over the basics every single day this week and we spent three hours this morning on three problems and one is still not done. One of them I went through after erasing work, step by step with him and still we had much tears and I am not confidant he learned it. So, how on earth do you teach it in a better way? I finally got a new camera, I have to take some time to figure out how to use it, as well as load the software on my computer which seeing as I do not have a disc drive or CD-Rom or whatever that works after T. shoved multiple discs into it this past spring, I am going to have to be creative, but maybe I can post pictures again! Yay! <p> I am praying that life slows down a bit. I think it is. Tomorrow is a busy day with MOPS, a dentist appt. and I am bringing dinner to someone in the evening, but Tuesday is just school and piano. I am going to have to take a drive up to my parents as my brother is moving far away and to see him off is important so i am going up there for a day or so. i hope the weather cooperates as I do not have snow tires on! Anyhow, it is late so good night to you all! This simple DVD is about 1 hour long and is like the cake decorating class you have always wanted to take and have not been able to. Maybe you never did because after you bought the stuff you needed, you could not afford the class for all of you and your daughters! Well, here is a really fun and easy way for all of you to learn how to decorate simple cakes. Kathy makes it look so simple that anyone could do it. She is honest and shows you how to make lovely cakes with simple ingredients. I especially liked the fact you suggested using a large pot instead of a cake stand if you did not have one! That is practical! She goes through all the tips, bags, making frosting, coloring, different styles of decorations, frosting and finally decorating the cake. She teaches you how to correct a mistake and maybe what caused the mistake to happen as well. This is a very reasonable way for you to be able to take a class on this fun subject at home and with as many people as you want. I have wanted to practice my cake decorating skills and this makes it look so fun and easy I want to get started right now! If some of you head over there to read about the author Golden Keyes Parsons, she has written a very interesting sounding book called "Shadow of the Sun King". It is set in the 17th century and sounds like a book I am eager to read! The interview is very interesting too! Basic Crochet- a stitch-by-stitch video is a DVD that basically teaches you a class in the privacy of your own home. It is ideal for homeschoolers, families who live in small towns, or just ones who would much rather teach themselves, rather than pay to attend a class. It covers yarn and thread types, needles and the different types, different basic stitches and abbreviations used on patterns. As well as demonstrating the different stitches for you to see, she also goes through 3 different projects so if you did it along with the video you would be able to make a washcloth, a scarf and granny squares. This video also covers changing colors as well. I found it very simple to follow, personable and a very reasonable way to take a class to learn something with your whole family if you wanted to! Stay tuned for a review on her other class on cake decorating as well! Check out their website for great info on all sorts of homemaking topics like quilting, sewing, and other topics as well as a great selection of e-books that cover topics like “What to do if my daughter hates being in the kitchen?” and other things! This DVD made me remember how much I enjoyed crocheting and makes me want to get better and make things again. It is so much fun to be able to make things for people! My sons even enjoyed watching this with me and I think I am going to have a class with them and we will make a granny square afghan! Well, I have only used that as a title once before…..I feel like i have been trying to keep up with school, classes, and all the extra things as well as cooking and cleaning and something is always falling behind. We bought a new CD this week though. I am listening to it right now and it is fun to have something new to listen to. P. really liked one of the songs alot when we heard it called "It might be Hope" by Sara Groves so we bought the CD on Amazon We actually bought it used, but it was brand new in the plastic from a mission group. The CD is called "Tell me what you know"if you click on the name, it will show you all the used ones for sale. Anyhow, music helps me work better so we like it here! What is some of your favorite CD’s? The song has some great words that i need to listen when i am struggling! I also like Michael Card”s Scribbling in the Sand and Star kindler as well as the Hymns from Fernando Ortega. Our menu this week is simple…. <p> The grocery store has cheese on sale so I got to get cheese after going without it for a couple weeks. I got a bunch of cabbage cheap too .24 and .29, both red and green so that will be alot of meals! i also got some colored peppers for 2/$1. We have potatoes, plus i have a bunch of different meats and broccoli in the freezer. Next week, we are going to have to cook our turkey in our freezer too so i have room for pumpkin we got today. The boys went to the Pumpkin Patch today and had a really fun time! My camera is still broken so no pictures, I am really sad! i have four pumpkins now though! The boys love pumpkin seeds so that will a nice treat! i need to get busy and make some applesauce too! Also, hopefully sometime this next week I will be making a meal or two for my cousin! Take a look at this delightful book! It is a sweet story with some real life struggles in it, but for those of us who like a sweet romance, you will enjoy this book. Elle (whom we met in Sweet Caroline) is engaged to be married! She is ready to rip up her life, give up her plans, but things fall in the path of perfection and she starts to wonder why she feels like everything is wrong. When things get really hard, she discovers through an old friend how to really pray and bring her requests to God, even though life does not look so good at the moment. Discouragements are there, but good friends are as well. You will fall in love with Elle as I did…. (and it is pronounced like the Letter "L") I especially enjoyed her dad, who said he would not give up one of his girls for any son! I do not want to give away too much of the story, but Jeremiah and Elle have some relationship struggles and a new friendship God brings into her life of a widower and his young daughter shows her many different things about herself and her outlook on life. Since then, she’s gone on to become a best selling author of Sweet Caroline.